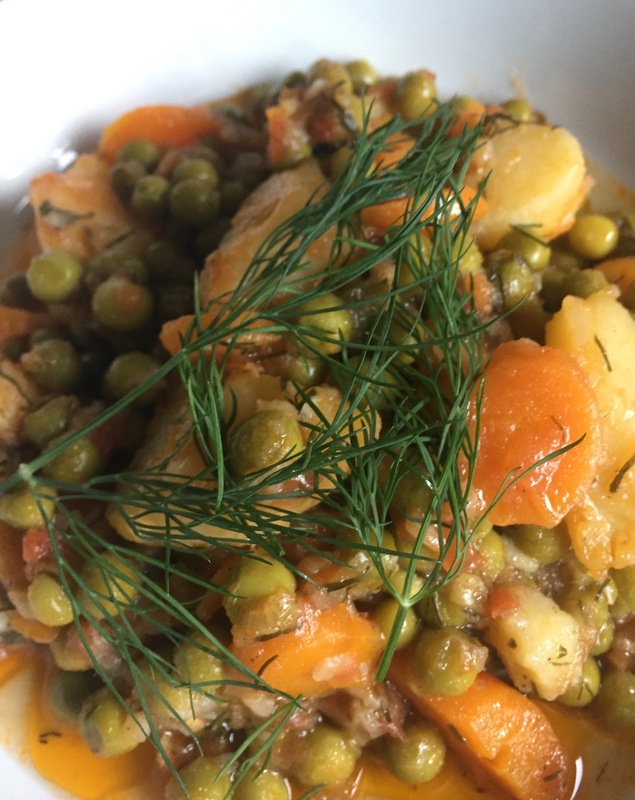 ‘Ladéra’ are traditional vegetable stews or bakes – these are not cranky concoctions but the perfect vehicles for top class produce, in season and in prime condition. 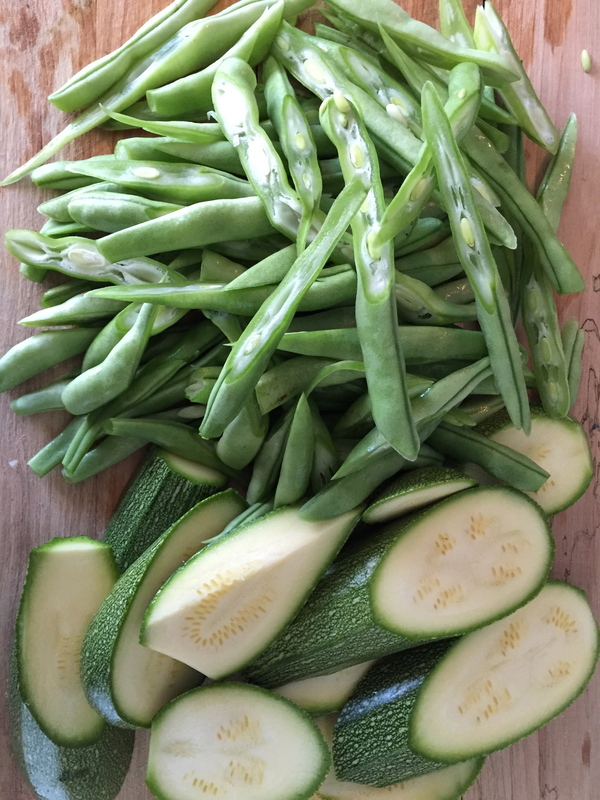 Whether it’s green beans, artichokes, aubergines, okra, courgettes or any number of dried pulses, they can all be served as an ‘oily dish’ – the crucial point is that they are always meat free. The sauce can be tomato-based or just oil and lemon juice – the key ingredient is good quality olive oil and plenty of it. Having said that, these dishes shouldn’t seem oily – instead the sauce should be reduced enough, so that the food ‘is left with it’s own oil’. As the phrase ‘happy ever after’ is to fairy tales, ‘na meínei mé to ládi tou ‘ is the classic line that ends all recipes for ‘Laderá’. 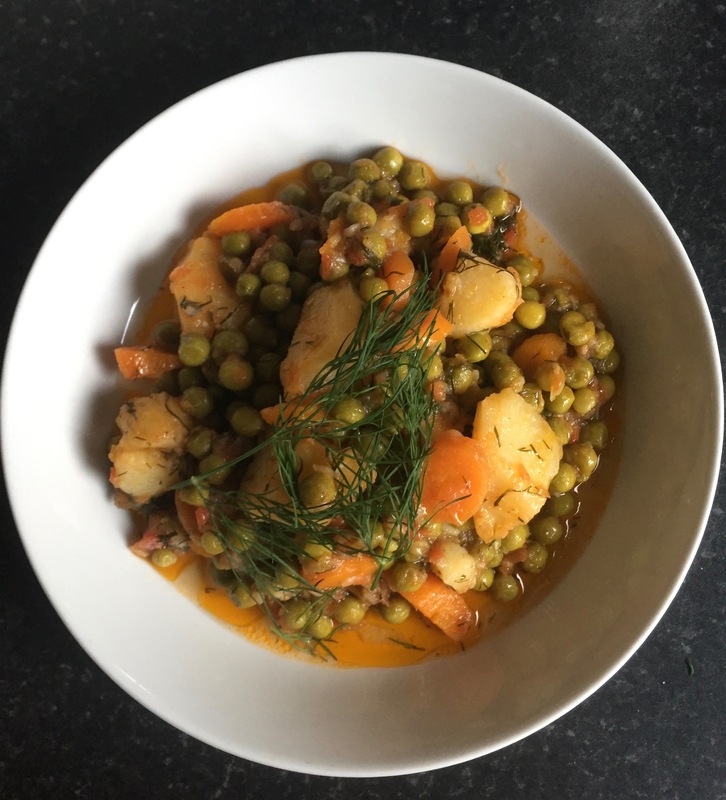 So seeing fresh local peas in the greengrocers this time I cooked araká mé patátes – delightfully fragrant sweet peas, new season ‘spunta’ potatoes from Cyprus, fresh tomato, copious amounts of dill and a good glug of virgin olive oil. Who needs meat !? And who needs to be a vegetarian?! Just eat like a Greek ! Heat half the olive in a a low casserole and sautée the onions until it is soft. Don’t allow it to go too brown. And the carrots and cook for a further minute or so. Add the grated tomato, the peas,potatoes, half a cup of water and the rest of the oil. Season, reduce the heat and simmer for about 35 minutes. Once the potatoes and peas are almost cooked, add the chopped dill and check the seasoning. Simmer uncovered for a further 10-15 minutes, ‘until the food remains in its own oil’. Serve with bread and slices of salty feta. 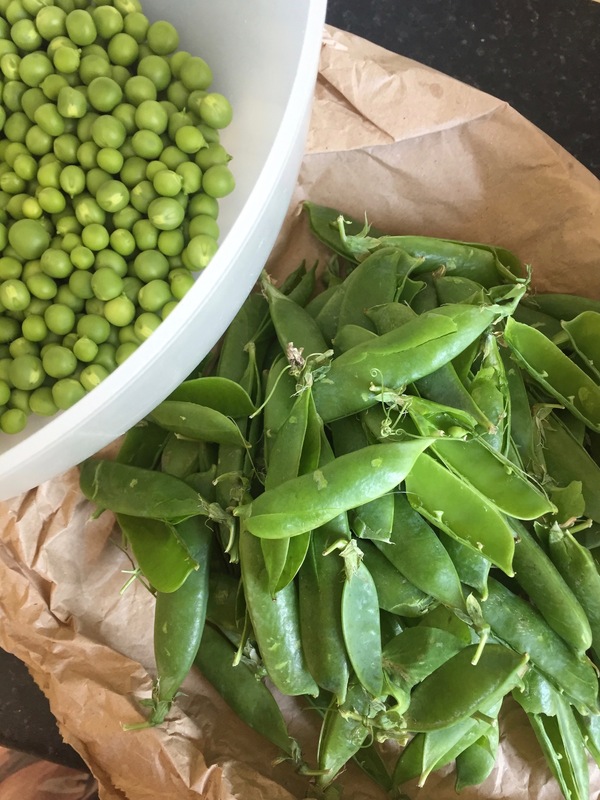 You would think so – but Sharpe’s Greengrocer’s has become my favourite veg shop suddenly ! Ashamed to say that I’ve only driven passed for years – that’s what happens when you go to buy a can of paint from Lowe’s, I guess ?! Yes we use him or Favourite Fruits in Broomhill. Can never decipher Sharpe’s labels! Watch out for the celery. His doesn’t keep very well. That looks delicious, even in this hot weather! So does the water evaporate off and you’re left with just the olive oil? Yes – that’s it. You let the liquid reduce until you just have the oil. Great recipes for hot weather!